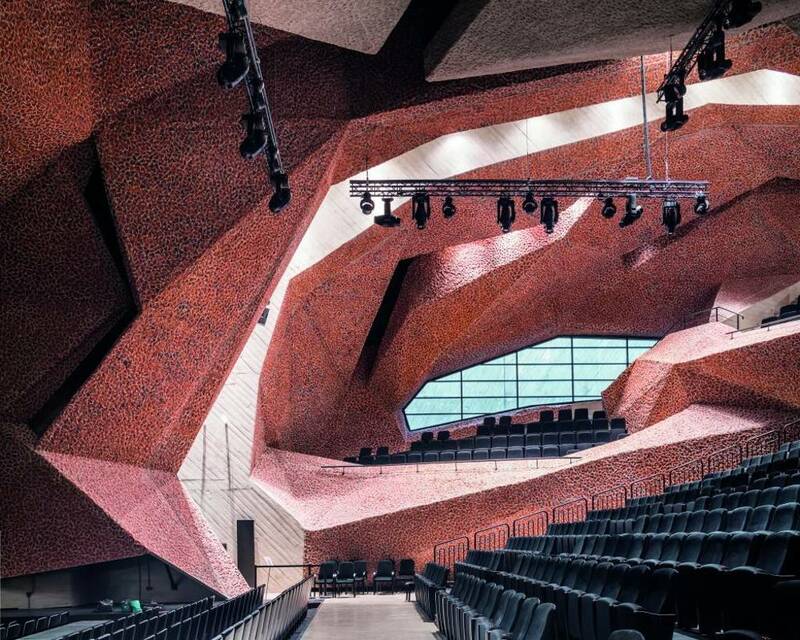 The Spanish architect Fernando Menis has been the responsible of design the new Auditorium CKK Jordanki in Torun, Poland. This has been the most complex work for the architect up to date and it is located in a green ring around the centre of this small and smart town. So, to know more about this place, it is important to talk about the inside and outside of the building. In the exterior we find white concrete in almost all the surface. A concrete shell that is cut and carved away and that allows to appear shades of red as the lining in its holes. Moreover, we should to highlight that the use of this material is a reinterpretation of the traditional use of brick, establishing a parallel between the tectonics of the city and the location of the plot. 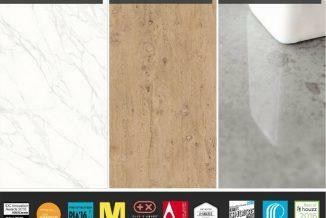 The red and white is a prefect mix that emphasizes the dichotomy between the modern and historic architecture. On the other side, now we are going to talk about the inside of the building, which constrasts whith the outside. 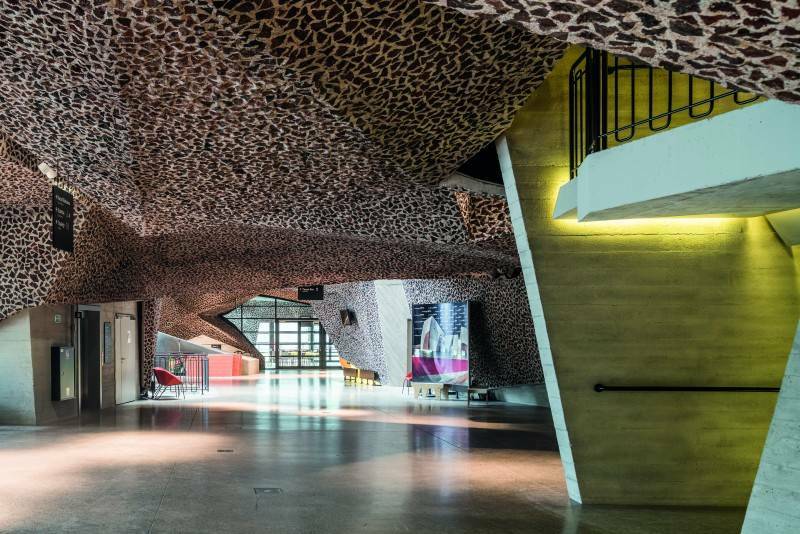 The architect has designed a flexible space allowed to welcome not only concerts but also all kinds of events. About the theatre space is important to say that this is able to adapt easily to different capacities and it may change from performance to performance. A space were you may join two rooms to act as the main theatre by moving the walls and changing the number of the easily removable seats. This allows to hold differt events at the same time. 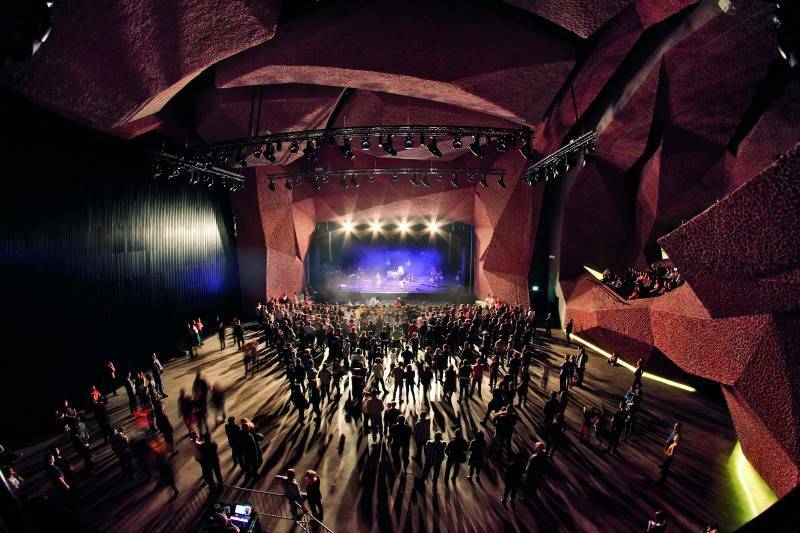 Moreover, the dynamic ceiling has been made in order to absorb symphonic performances, chamber, theatre, opera, and film. Finally, we have to highlight that the concert hall can be opened to the outside and this allows to join the interior stage with the park outside.